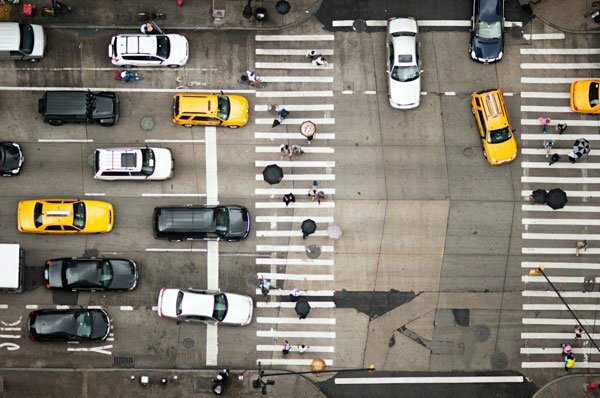 New York City is full of animation as cars and people hurry along the labyrinth of streets. When you are nestled down in between the lofty skyscrapers that can be likened to giants, it is hard to see the entire magnitude of the city. 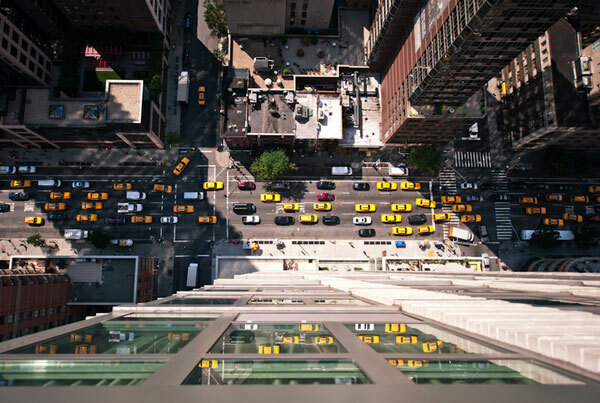 Navid Baraty, an innovative photographer, has given us a new perspective on these giants from the sky. Incredible buildings have been constructed in New York City with amazing architectural features. From the sky view of these magnificent buildings, you can still see that there is an enormous variety of time periods and styles in which these buildings have been erected. Large white stoned buildings are seated next to newer brick towers. Buildings of all heights and widths share city blocks to create a beautiful and intricate puzzle. Glass sided towers bring depth to the area and appear to be living as reflections chase across the mirrored glare. Wedged way down below the intricate skyline is a maze of roads that have been hodge podged together with concrete, bricks, and asphalt. 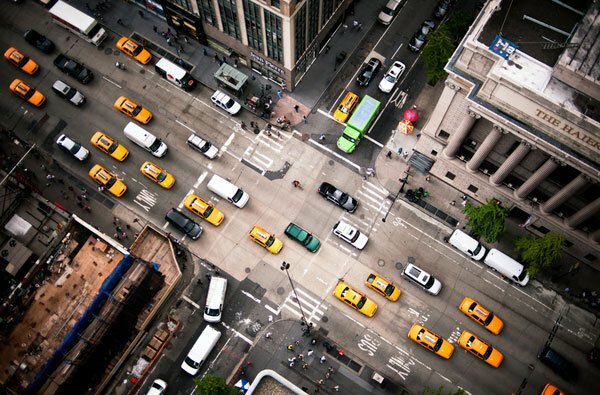 The view of these streets from high above, show you that there is always a line of yellow taxi cabs, rushing through the city. Pedestrians are hurrying along the crosswalks to get to their destinations. With food vendors parked out in mobile trucks, the sidewalks are adorned with splashes of color radiating from umbrellas. New York is a living, breathing city with a captivating personality all of its own. Its brilliantly constructed buildings bring out the character of the area. The constant movements of the streets tell its story of excitement and awe. 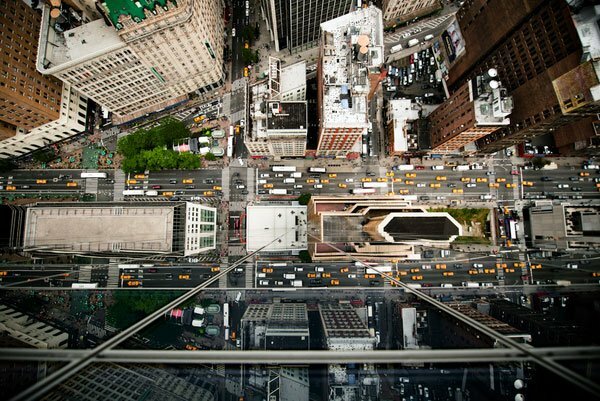 Thanks to Navid Baraty, you can see that any point of view of this amazing city will leave you catching your breath.